The Arabian Gulf region has a new exotic mechanical bird in its skies from today as the flag carrier of the Kingdom of Bahrain, Gulf Air took delivery of its first A320neo today. CFM LEAP-1A engines power the technologically advanced passenger jet which made its maiden journey from Toulouse to Bahrain, landing at the Bahrain International Airport at 16:00 local time. The aircraft is the first of the 29 A320neo Family of aircraft ordered during the 2016 Bahrain International Airshow and makes Gulf Air the first Middle Eastern national carrier to fly the A320neo. 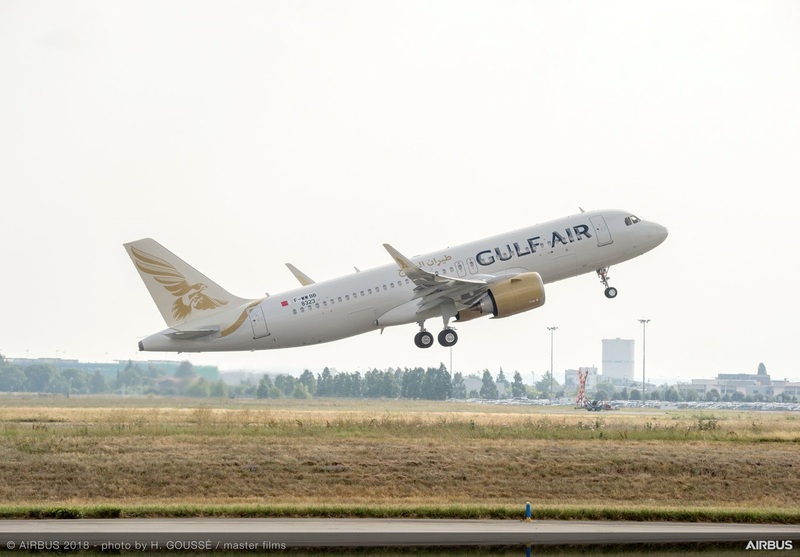 There are 28 other Airbus aircraft in the Gulf Air fleet and the latest addition will blend in perfectly with the current operations, thanks to Airbus’ overall fleet commonality. Gulf Air will also benefit from low operating costs, optimum fuel efficiency and seamless, best-in-class passenger comfort of any single aisle aircraft.